Nine beautifully crafted stories from rising star Philip Huynh. A stunning story collection from a fierce new talent who writes with both assurance and vulnerability. A man returns to Hoi An in his retirement to compose a poem honouring his parents. Two teenagers, ostracized in a private school, forge an unlikely bond. A son discovers the truth about his father's business ventures and his dreams of success. A young bride, isolated on a remote island with her new husband, finds community in a group of abalone divers. Taking the title for his debut collection of short fiction from the walled palace of Vietnam's Nguyen dynasty, Philip Huynh dives headfirst into the Vietnamese diaspora. In these beautifully crafted stories, crystalline in their clarity and immersive in their intensity, he creates a universe inhabited by the deprivations of war, the reinvention of self in a new and unfamiliar settings, and the tensions between old-world parents and new-world children. 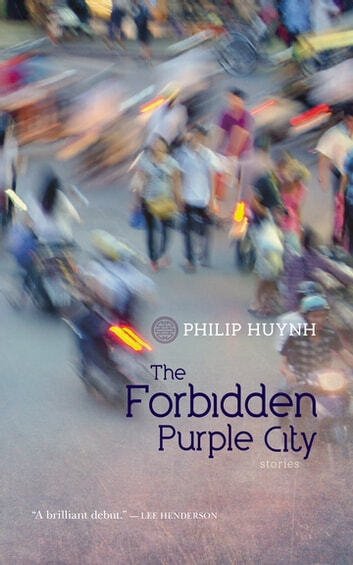 Rooted in history and tradition yet startlingly contemporary in their approach, Huynh's stories are sensuously evocative, plunging us into worlds so all-encompassing that we can smell the scent of orange blossoms and hear the rumble of bass lines from suburban car stereos.